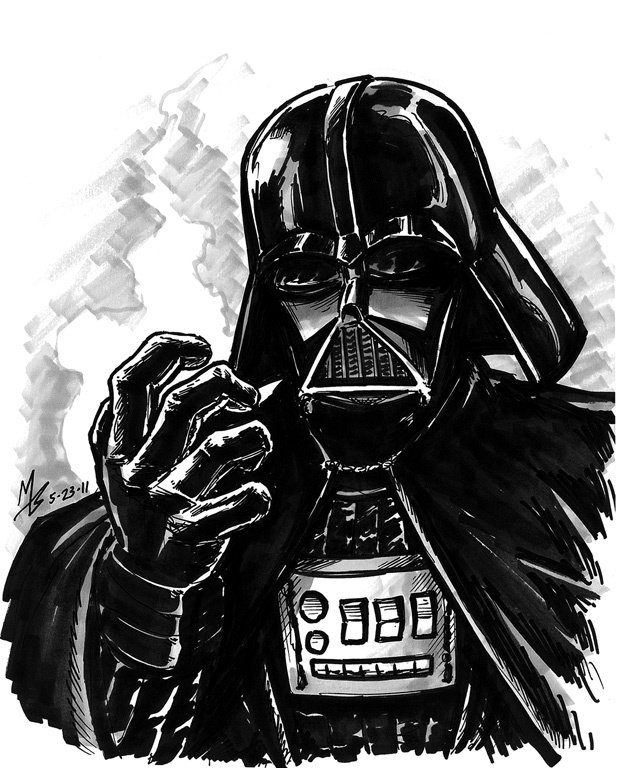 So, today's brilliant idea was: "Hey, I should draw Darth Vader from memory!" After all, what if a kid comes up to me during a con and says, "Can you dwaw Dawf Vadew fow me?" --and I don't have any reference handy?? What am I supposed to say to this poor child, who only wants a sketch of his favorite ruthless dictator? Looks like Darth Vader to me! That's pretty cool Mark.